Hello. I had a doubt regarding the materials for the roof. The intention of the design is to be sustainable, yet it is recommended to use the Zinc sheets for roofing which contradicts the entire idea of it. So my doubt is, if we can use the thatches from the branches of palm oil trees available locally as the roofing material alternatives? ANSWER: Use of branches of palm oil trees as the roofing material alternatives is a good idea, but not economically sustainable. The lifespan of the palm oil trees fronts is 3 years, so you will have to replace the roof every 2 to 3 years. Our aim is sustainable rural development. 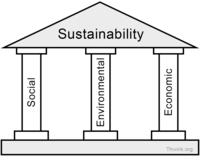 From the third diagram below, you will see that our aim is reached when all three (social sustainability, environmental sustainability, and economic sustainability) are accounted for in the school building process. is it possible to create adobe , cob or vaulted roofs in accordance with the climate ? and which would be the best roofing? ANSWER: Yes, it is possible to create vaulted roofs in accordance with the climate. The adobe (mud bricks) for the vault roof need to be fired to with stand the heavy rain pour prevalent in the region. The firing process can be done locally. 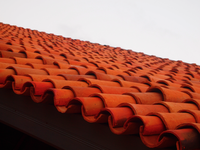 And keep in mind that roofing with fired clay roof tiles is also a practice in the region. Goodevening, we are two undergraduates in architecture attending the University of Florence and our name are Claudio and Fabio. We submitted the application to the contest as a team, paying the related fee, but the application form doesn’t require the team name. How can we modify the team profile? SUBMISSION FORMAT: (1) Text file (Word format) containing the design statement (300 words max) for publication purposes. The design statement should include material description, budget in USD, and the entrants’ personal information including name, profession, address, and email address. (2) One A1 presentation board submitted as a JPG file of high-quality resolution (15 MB) to be printed in landscape format. For uploading to the competition’s projects board, the file size of the presentation board to be submitted must not exceed 600 kb. The upper right corner of the board must contain the entry ticket number. There should not be any marks or any other form of identification, less the entry is disqualified. The file must be named after the ticket number followed. For example, 112334567.jpg (for your presentation board). The presentation board includes the floor plan, roof plan and elevations. The project statement should explain the design. Submissions must be in English language. - -Is the 8,000.00 USD budget referred to each single residence or does it concern all the 7 residential units plus the lobby? ANSWER: The 8,000.00 USD budget refers to a single residence. - -Can we modify the masterplan design while developing our project? - -Regarding the internal layout of each residential unit, should it include a bedroom, a kitchen and a bathroom? Or these services are provided in the areas n. 3 and n. 13 of the masterplan? ANSWER: Yes, each residential unit should include bedrooms (that sleeps 4 to 6 persons), a kitchen and a bathroom. - -Is it mandatory to submit the entry design in A1 format? If yes, could you please let us know the requirements to be met? ANSWER: Yes, A1 is required. I have posted above information about the required format, but you need to download the design brief from this board. - -If available, would it be possible to download the .dwg version of the masterplan? ANSWER: Download from this board right away, or email to mudhousedesign@mail.com and we will send it via email. we have seen in a post updated 19hours ago that the final deadline for the submission is 30 of May, but we have also read that to a previous question you answered that is the 30 of April... can you please tell us when is the real deadline? STEP 1: Submit an A1 Presentation Board of your design and design statement to mudhousedesign@mail.com by April 15 - May 30, 2016. The image should be in high resolution of about 15 MB. See the competition’s design brief for instruction about this. STEP 2: Post a low jpg version of design and design statement to this page: nkaprojects.boards.net/thread/59/submitted-design-entries by May 27 - May 31, 2016. Please, see the design brief for the instruction. I am interested in the classroom typology, but I have seen that you said that our design should propose ONLY 1 UNIT (= 1 40sqm classroom)... so does that mean that we have to stick to the preliminary masterplan and that the scheme of the courtyard cannot change? ANSWER: Yes, your design should propose ONLY 1 UNIT of the classrooms. That does not mean that the scheme of the courtyard cannot change. You can suggest a courtyard design, if it serves best to present your design concept, but it is not mandatory. 1. How many classrooms are going to be designed? And what is the REAL scheme that we have to respect? And how many units compose this scheme? (It is very difficult to design one unit without thinking of the aggregation of the units, and if the scheme is already set, we would like to know it if possible: for example, a 4 units patio is very different from a 10 units patio). In both cases, we need to know how many units will really for each scheme (whether is the courtyard system or a different one, since 21 (as the legend says) is very different from 40 (as drawn in the masterplan). 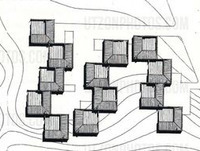 "ANSWER: And yes, focus your design only on one unit of a cluster, and not the whole courtyard/function. ANSWER: This question has been answered several times in above threads. The task of a design team in the competition is to design just one classroom, so, don't be concerned about stated number of classrooms. The site plan you mentioned is only the preliminary design. There will be a workshop at the site in October to conduct site analysis and generate the Masterplan for the school. And they will look at all the designs that has been accepted for construction to create the School Masterplan." Last question: the final deadline for the submission is May, 30... right? the date 15-30 april was the date earlier also, so where is the extension? Good morning, I am experiencing difficulties at estimating the price of girders of welded rebars to hold the metal sheet roof. Can you help me, please? ANSWER: I searched girder in this web site: www.bmghana.com for "building materials in Ghana" it is not in there. I also did google search for girders as construction material in Ghana; there are materials about building with wood and concrete girders. I think a best way to approach this is to do a fair estimate. For example, cement and girders are industrially manufactured products. In Ghana at the current price for cement is about $10. Find out the price of cement and girders in your country. Compare price of cement in Ghana ($10) to the price of same in your country. Use that index to estimate the fair price of girders in Ghana. In Ghanaian market the actual cost may be 10 to 20% less than in some Western countries. I have done more searches for girders on a good return. In place of the above suggestion, you may wish you email the following companies in Ghana to request the price for girders: evelconsult@yahoo.com (Evel Consult Gh). Ltd, amafowaakesse@gmail.com (ALUSTEEL LIMITED), sales@atlantisstructures.com (Atlantis Structures Limited), and agraham@ghana.com (ABM Structures Ltd). Please, include an image of the girder type, you want the price on. Hi. I have one question about the design statement. You’re writing, the design statement should have no more than 300 words. How do you mean it? The project description should have max. 300 words or everything together (project description + personal information + budget = 300words)? -Your statement should clearly describe your design concept as a resolution to the rural school design problem. -Try to say as much as you can in the fewest words possible. Make it “short and sweet” by sticking to what makes your design concept unique and memorable. By this, 300 words is, therefore, be in order. -See the design statement as a short report that sets out, illustrates and justifies the process that has led to the development and the proposed end of your design. -If you are doing itemized budget, PROJECT BUDGET should be a separate a heading. ANSWER: Here is a drawing of Abetenim Village, Ashanti Region, Ghana from a project by raumgeschichten.org It is drawn to scale. 2. In our research we found that in Ghana is needed to take termites issues seriously, how large is their presence in Abetenim? in an older post you have said that it is better to use 'local hard wood' for construction instead bamboo due to its resistance to termites and weather conditions among others, from which kind of tree/s is obtained this 'local hard wood'? Which are the local tree wood posibilities? this 'local hard wood' is the timber about you talk on the reference budget table? if not, how much would be the budget and dimensions? 2x2, 2x3, 2x4, 2x6, 2x8, 4x4, 4x8, 2x10, 1x10. About the cost of lumber, we have answered this question in a thread above: "Keep in mind that at Abetenim, the wood to be used for window and doors will be available through the community, it will be harvested from the nearby forest. The cost will be for the gas money to the chainsaw man." Hope all things are going well with your projects! 1) Open Spaces/patios are included in the defined areas? ANSWER: No. They are a part of the landscape design to enhance the building. 2) If one is designing the classrooms: one unit (for 8000 usd) is for a single room (40m2) or is it for the on of the 4 blocks of classrooms shown in the masterplan and marked with the number 6? ANSWER: This question has been answered severally in above threads. Simply stated, your task would be to design one classroom. 3) For the dormitories: one unit (for 8000 usd) corresponds t0 500m2? Or 250m2? Or less? ANSWER: The budget for each building is $8,000. You can design your dorm of the dimension, 500m2 or 250m2 but the budget must not exceed $8,000. 4)If we can chose between different programs (classrooms, cafeteria, dormitors, …) it means the teams that are competing with each other will be presenting different desgins with different functions and different programs. Our question is, given this, what are the criteria to compare and evaluate them (having in mind the different programs)? ANSWER: The criteria are stated in the design brief as follow: "The jurors will use judging criteria involving functionality, aesthetics and technical matter to select three prize-winning designs." And here is more: Judging Criteria: (1) Functionality: space patterns and usage, climatic performance, and sustainability over time; (2) Aesthetics: visual/aesthetic appeal; and (3) Technical: adaptive / creative use of abundant local materials and labor to the degree they enhance the design, resource efficient construction process, and attention to scalability. Decisions of the jury will be final and binding. 5) What prototypes will be built? One of each type or just one chosen between all projects? ANSWER: One of each type will be built. Thus, every design team has a chance to collaborate with us to run a workshop to build their design. It is hard work, but of higher learning gain. 6) In this site there is a board “WELCOME TO ABETENIM SENIOR SECONDARY SCHOOL PROJECT”, posted September 29, that describes the school, the plan for building, the phases, etc. Should we countt on that information or is it outdated? Are those the intentions for building? ANSWER: That platform is outdated. It was used by our Online design volunteers to ideate and create design the preliminary plan for school. 7) Sometimes it appears on your site some information about the workers cost per day, should it be accounted for in our budget or not? ANSWER: No. The general labor will be supplied by the community. Some specialized labor may not be in the community, so you would have to budget for such. This will depend on your construction needs- there is a local mason, electrician, etc. There may not be a carpenter or plumber who is not living in Abetenim. Or you design may be complex for the rural electrician to handle. So, my suggestion is to budget an bulk amount for Special Labor (plumbing, electrical, etc); this amount will depend on your design. What about the specialists for the earth blocks? ANSWER: There is local labor for mud brick. We have a manual press for this. 8)What about the cost of the transportation of the materials till the construction site, should it be accounted for on our budget? And, if yes, how can we get that information? ANSWER: Yes, the cost of the transportation should be a part of our budget. You can allocate about $200- $300 for this, according to project. 9) About the furniture for classrooms – tables etc., is it in our budget? 10)The Submission format mentions a text file with 300 words. What should count for these 300 words – all things – description of the project + budget information + personal information about the team? All of that should be under 300 words? Because we are experiencing difficulties doing so, it seems too little words for the 3 things. 11) If the information about the budget is not in those 300 words, how should we hand in that? ANSWER: This question has been answered in two threads above yours. Please, take a look. Mathematically, the design concept+construction ends+budget summary = 300 words. If you are doing itemized budget, add on as ITEMIZED PROJECT BUDGET as a separate a heading. The personal information about the team is data (name, profession, address, and email address) and may not count toward 300 words limit. 12) What text information should be in the A1? ANSWER: The answer is in the design brief: " (2) One A1 presentation board submitted as a JPG file of high-quality resolution (15 MB) to be printed in landscape format....The presentation board includes the floor plan, roof plan and elevations." Hello, how much cost plastic mat (price/m2), made out of plastic threads. Can we find this item easily near Abetenim? Thank you! ANSWER: It would not be expensive. Is the mat for use for flooring, sitting, or for blind? With a photo of an example, we will determine the cost. Or you can simply approximate it, in light of the cost of it in your country. Q: We are sizing a holding tank according to rainfall. Looking for quantity of rain in hours per day per year. You may list the budget as bulk figures. Electric current at Abetenim and other parts of Ghana, is 240V. Ghc600 depending on the grade. Standard length for corrugated zinc roofing sheet is 8 feet and width is 3 feet. 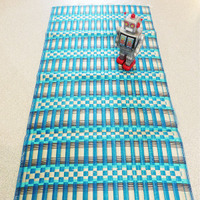 I was thinking of this kind of mat, but larger ones. ANSWER: I know the type. It should not be more than $20 a piece. Are the designs for the teacher and student living quarters interchangeable, or are there special requirements for each type? How many people for each type of building? I noticed in (4) the prizes are either receiving money for the design or having it built? Why can't it be both? Unable to upload file ta506179103.jpg. For now, we resolved this problem pasting the google drive (that can be seen by everyone) link of our design.